So you're planning on purchasing a new home..……CONGRATULATIONS!! When you are considering the purchase of a home it is a very exciting time and a lot of important decisions have to be made. There are many plans, promises and expectations in the home purchase process. You need Qualified, Experienced, and Professionals working on your behalf. One of the very important steps is having your potential home inspected, which typically occurs once you and the seller have agreed upon a price and signed an earnest money contract. 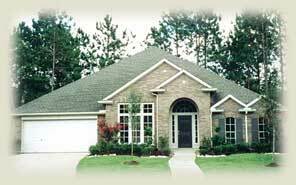 Qualified, therefore licensed by the State of Texas, Texas Real Estate Commission. Experienced, someone who has been in the inspection business for a while and was not in a totally unrelated field of business before they started the inspection business. Professional, someone who is interested in your needs and willing to discuss the inspection thoroughly with you and the other parties involved in the transaction. Nobody likes unpleasant surprises! That is why an inspection is intended to tell you the condition of the property before you get locked into a 30-year investment. Once the inspections has been completed by a TREC Licensed Inspector, you often will have an opportunity to negotiate with the Seller to make important repairs to the property before you buy. If you are working with a seller who is not negotiable about doing repairs and/or lowering the price, then at least you know what items are in need of repair. This will help you prepare your budget for repairs on an as needed basis. Also if there are more repairs that you are willing to take on, in most cases you can walk away from the purchase with your earnest money and find another property more suitable to your needs. We provide home inspection services in Harris, Montgomery, Grimes, Walker, Fort Bend, Brazoria, Chambers, San Jacinto, and Liberty counties in Texas.